Will they cross our path? Beautiful photo. I envy your situation. 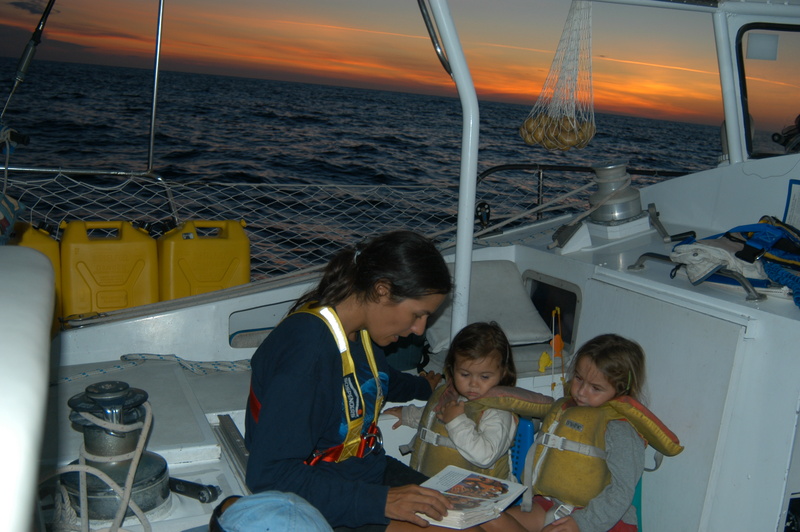 The ocean, children and a story. This is real paradise. Thank you for sharing the excellent poetry. Very nice, and I can feel the fear expressed within. Thank you for participating! oh my. hoping all ends well. The ocean scares me, don’t think I could ever spend the night there. Your imagery is strong. Hi Sheila! Thanks for stopping by 🙂 Yes, it ended well, thankfully. It must be quite an adventure….sleeping at night at sea, being rocked by the waves! Never slept at sea before but I think it would be difficult. Honestly just reading this freaked me out a little.